With this iPhone Solar Charger Case, you can now powerup your iPhone 4 or iPhone 4S anywhere under the sun. Now you will have the freedom to travel, work, and play longer, not bound by the limitations of the original iPhone battery. Enjoy the benefits of charging without a cord, while camping, hiking, or at the beach. With the long lasting energy of the internal lithium polymer battery, you can have peace of mind during emergency situations, that you will always have a phone. 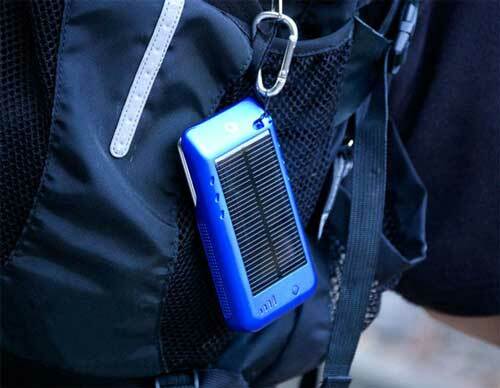 This solar powered iPhone case uses a solar panel to collect sunlight, which it turns into electricity. It transfers this power to your iPhone; when fully charged (or when iPhone is not inserted), it transfers the power to its internal battery as a backup power source. 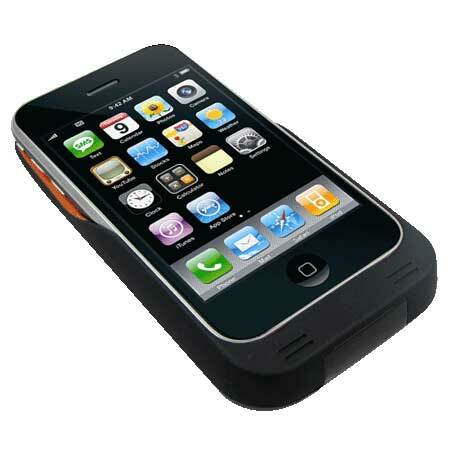 The iPhone solar case will continue to transfer power to your iPhone as necessary. Our innovative solar panel technology make this one of the best iphone solar chargers in the world, which enables you to be part of the solar energy solution. Let's go solar! If you are looking for a solar charger for iPhone 5, please check out our new released iPhone 5 Solar Charger. After I purchased this product, I must say that I am very impress! My family went camping for two days and I thought my cell phone battery will not last long out in the wilderness. Thankfully, this solar power charger charge my iphone 4 well. For the price, it does perform well. Was on the plane and able to charge my iPhone while the unit was charging from the sun rays coming through the plane windows! And it charges the iPhone really fast, which is great. This charger is compact, that's the nice part, and works well when fully charged. The main drawback is that it seems to take a long time to fully charge using sunlight. I just charged my phone using the solar charger awesome thank you for the Sun. It has brought me power for free to charge my phone and other usb accessories. I took this on a week long camping trip last week and it worked wonderfully. I will be purchasing another for my husband. Bought this for a trip to Brazil. It did what I needed then, and as I've lived with it for the months following, it has impressed me. A fully charged pack held its charge fully for months, so it's great for emergencies, highly recommended! Recommended, I use it to charge a mobile phone in a rural farm with no electricity. Works like a charm. received the solar iphone charger in good condition and works as intended thank you for the great service. you now have me as your desired customer. again thank you. This product was delivered fast. I had problems figuring out how to use it at first but it wasn't what i expected i just used the wall charger instead of the sunlight because it doesn't makes much of a difference unless you use the wall changer and that kind of defeats the purpose of it being solar rechargeable. I bought it for my dad... he loves his Iphone and he is very pleased with this battery charger case. I was pleased with using this iPhone solar charger for charging my iPhone 4S during a recent camping trip. and easy to use. Great product.